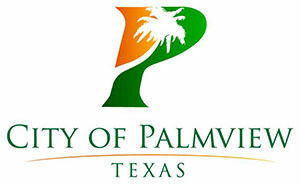 PALMVIEW — The City Council approved at 2.5-cent property tax increase after Finance Director Rachel Chapa explained it was the only way for the city to grow since the city is still paying off nearly $2 million in loans. During a special-called meeting held Friday, Chapa, who was hired in July, went over two loans the city had taken out in 2008 and 2014. The first loan was for $1,326,272.38 was used to pay the IRS payroll taxes and fees, to pay for items that should have already been included in the city’s budget and to pay vendors for which invoices could not be found. Paid to the IRS was $668,750 for payroll taxes which are supposed to be done periodically but were instead paid in a lump sum from that loan. “What I found was astonishing to me because no one in their right mind would operate their business like this,” Chapa said. In 2006, the IRS penalized the city $44,189.48 for failure to file their 941 Form and $49,488.26 in 2007 for failing to file it again. In total, from 2005 through 2010, they were fined $93,677.74 for failure to file the 941 Form. “That, I call negligence,” City Councilman Javier Ramirez said. “That, I call malpractice,” Chapa replied. City Secretary Bertha Garza acknowledged that she was responsible for payroll at that time but when questioned by City Councilmember Linda Sarabia, Garza said she was directed to not file the payroll taxes. Toward the end of the meeting, the council agreed to terminate Garza as the city secretary, though interim City Manager Leo Olivares said her firing was not disciplinary in nature but that the city simply wanted to move in a different direction. The city has undergone changes since Councilmembers Joel Garcia, Linda Sarabia and Javier Ramirez were elected in November 2016. Following the change to the council, the city hired a management consultant that found the city lacked proper policies and procedures. As a result, then City Manager Ramon Segovia was placed on leave and then fired in June. He has since filed a lawsuit against the city alleging breach of his contract. Segovia declined to comment on city matters because of the pending lawsuit. Olivares was brought on board to fill in for Segovia, and Chapa was hired in July for the newly created finance director position. In reviewing the loans, Chapa found that more than $400,000 of the first loan were paid out to vendors however she could not explain what services they provided since invoices were not available. About $30,000 was made out to Frank Rodriguez, a CPA the city paid $15,000 to last year to conduct the city’s audit but who city councilmembers said produced no work. Again, Chapa couldn’t explain what that was for because those records were not available to her. She said she made contact with Rodriguez when she first came on board but has been unable to meet with him since. She could also not find documents to explain why the city also gave $56,000 to the Palmview Economic Development Council which was meant to be a stand-alone entity. Another $61,116.23 was paid to Robinson Law Group for a lawsuit filed against the city by Reliant Energy Retail Services. Reliant, an electric company, sued Palmview for nonpayment of a $35,000 bill. The lawsuit was served to Johnn Alaniz and Aida Rivas, the city manager and city secretary at the time, respectively. However, the lawsuit was never answered and so the city was ordered to pay the $35,000 plus interest and attorney’s fees. In total they paid $61,116.23 over a $35,000 bill. Alaniz, now a La Joya school board trustee, said he couldn’t remember the specifics of the loan, which was taken out nearly a decade ago, however, he said the city had been playing catch-up since before he got there. Still, he said the financial situation wasn’t as bad as it seemed. “If the city was in financial (straits) or anything like that we never would have been deemed any money from CDBG funds or from state funds and we continue to get funding from them,” he said, adding that he didn’t understand why the current City Council was digging into those matters now. After those lump sum deposits in 2006 and 2007, things were operating well until 2011 when the IRS began penalizing them again for late payments and the city took out the second loan in 2014. The second loan, which was for $650,000 was similarly used to pay the IRS and to pay for ordinary expenses. The city is paying $64,756 a year for the first loan and $65,000 a year for the second. “Over $124,000 a year are going just to service two loans that were used to pay ordinary expenses which should have already been accounted for in the budget,” Chapa said. She explained that because of the loans, the city needs to raise taxes if they want to also invest in the city’s growth. The councilmembers voiced displeasure in placing the burden of those loans on residents but agreed that a raise in taxes was necessary. The 2.5-cent increase, which will raise taxes to 0.5001, will go toward funding a $1.5 million road project, a new ambulance for the fire department and EMS, and a police cruiser. City Councilmember Ricardo Villarreal said once the road project was completed, he hoped to take a look at the finances again to try to bring the tax rate back down, a sentiment the other council members seemed to agree with. Olivares said that even with the tax increase, Palmview still has one of the lowest tax rates in the Rio Grande Valley.